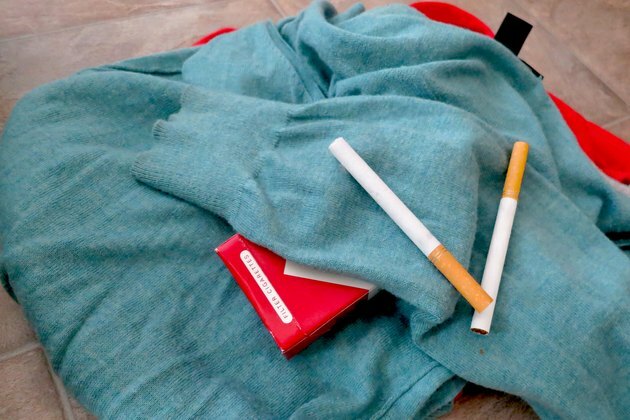 Whether you've spent a night out with smokers or found the perfect shirt in a vintage clothing shop, stale cigarette odors may make you want to stay far, far away from the affected garments. Instead of wondering if that clothing will ever smell fresh, air it out and treat it with natural odor-absorbing materials to render it smoke-free and, ultimately, wearable. Carry the smoke-scented clothing outdoors. 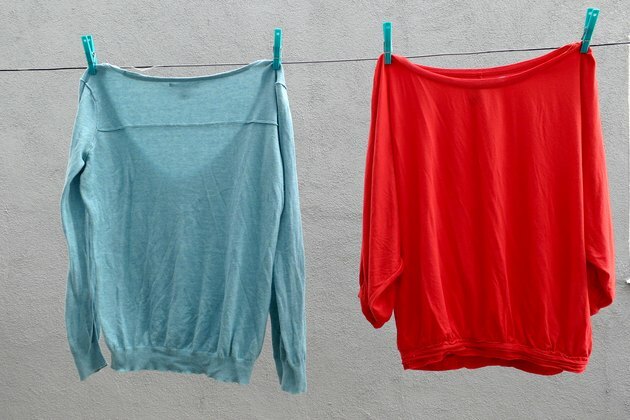 Hang the items from a clothesline with space between each. 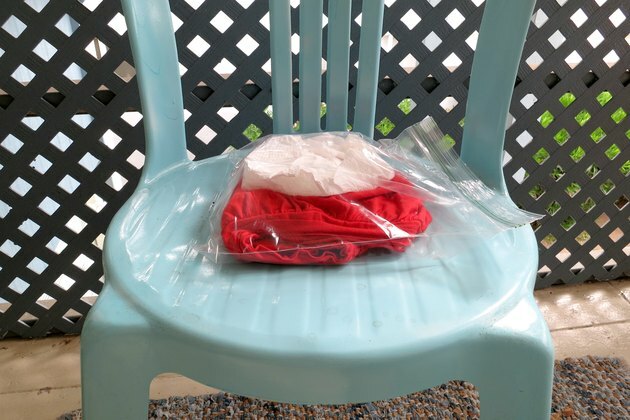 If no clothesline is available, insert hangers into items such as shirts and jackets and hang them from ceiling hooks on the porch or patio, along the back of a chair or any place that airflow may reach the clothing. Place pants over the back of a chair or a porch railing, draping them in such a way to maximize airflow. Do not fold the clothing items or place one item atop another, as they need exposure to air. Allow the smoky clothing to air out for several hours or all day, repeating the treatment the next day, if necessary. Sniff the clothing after several hours. 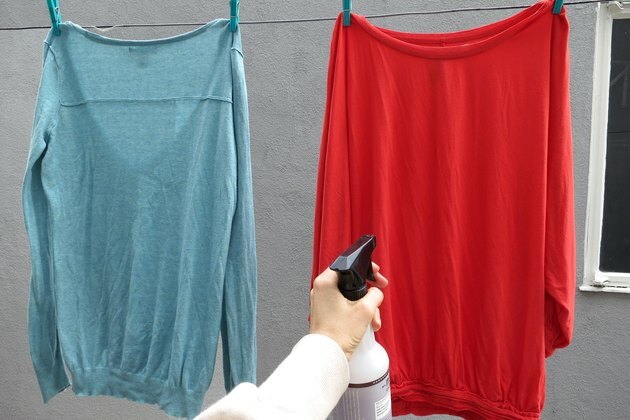 If it still smells of smoke, spritz the fabric lightly with white vinegar, using a spray bottle. Allow the garments to air out at least until dry. Vinegar removes odors; its scent will not cling to the clothing once it dries. For leather items, apply vinegar to a soft white cloth so the cloth is damp but not wet, then wipe the leather down with the vinegar. Allow it to air-dry. Place machine-washable clothing in the washing machine, adding detergent and selecting a temperature setting as directed on the care tag. 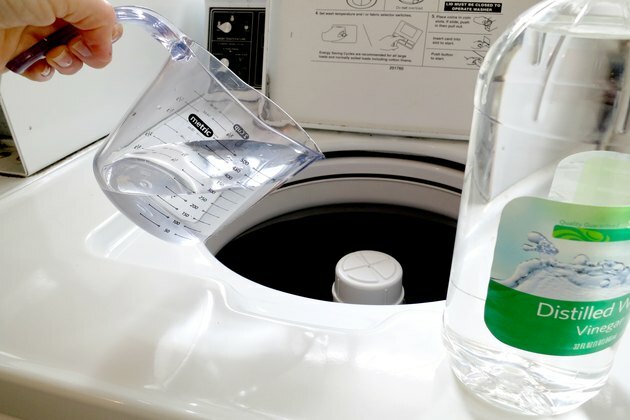 Add 1 cup of white vinegar once the machine is nearly full of water. Complete the wash, rinse and final spin cycles, then remove the clothing and dry according to the care-tag instructions. 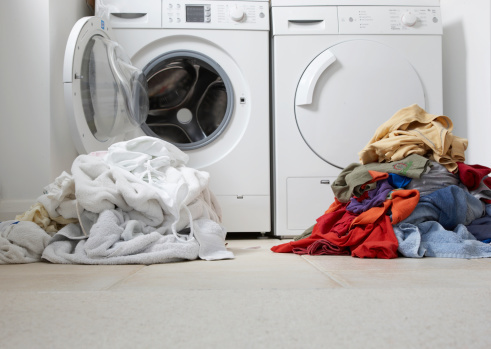 Do not use fabric softeners or dryer sheets, as these may add residue to the clothing, making odors more difficult to remove. For nonwashable clothing, skip this step. Place a nonwashable item in a large zippered storage bag or a plastic storage bin. Pour baking soda or unscented kitty litter inside a coffee filter, setting the filter near the clothing. Seal the bag or bin and set it outdoors or in an area exposed to daylight during nonhumid conditions. Check the fabric every day, removing it once it smells smoke-free. It may take several days or longer to completely remove the smoke odor.